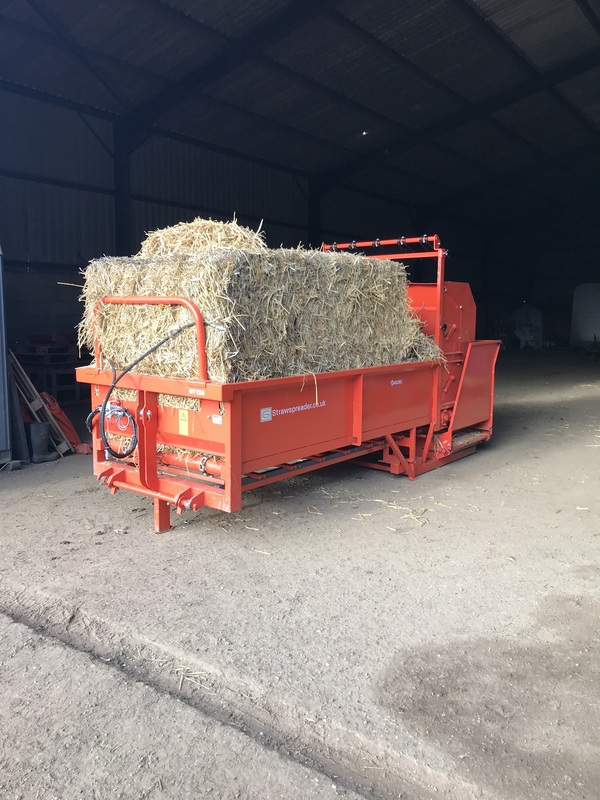 The DT125 LAT is capable of spreading round or square bales , the machine only needs a 100 hp tractor and a loader. 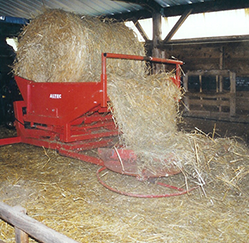 The machine has a large chamber capable of holding any size square or round bale, the bale is fed along the bed of the machine with chain and lats to a pair of separating rollers, this pair of rollers have adjustable fingers to fine tune the material flow, the separating rollers feed straw onto a cross conveyor that feeds straw to a rotating finger system that spreads the straw up-to 8 meters, this system produces a light and fluffy bed that is dust free and stone free. 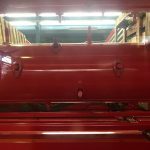 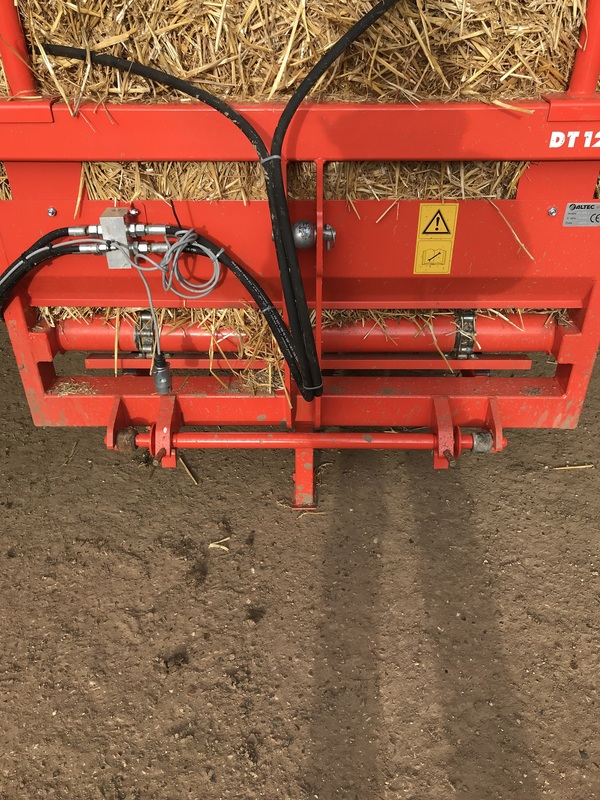 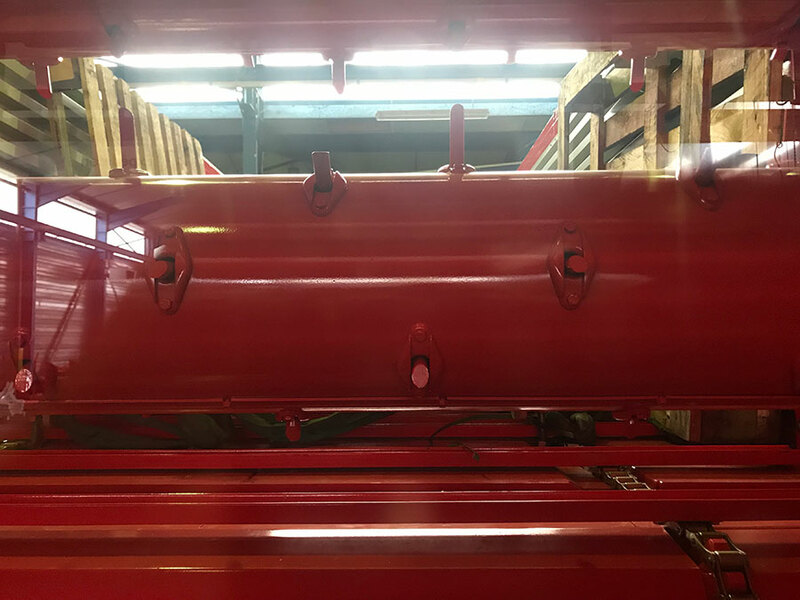 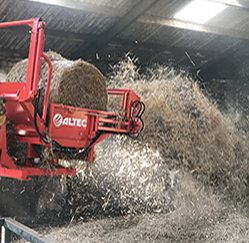 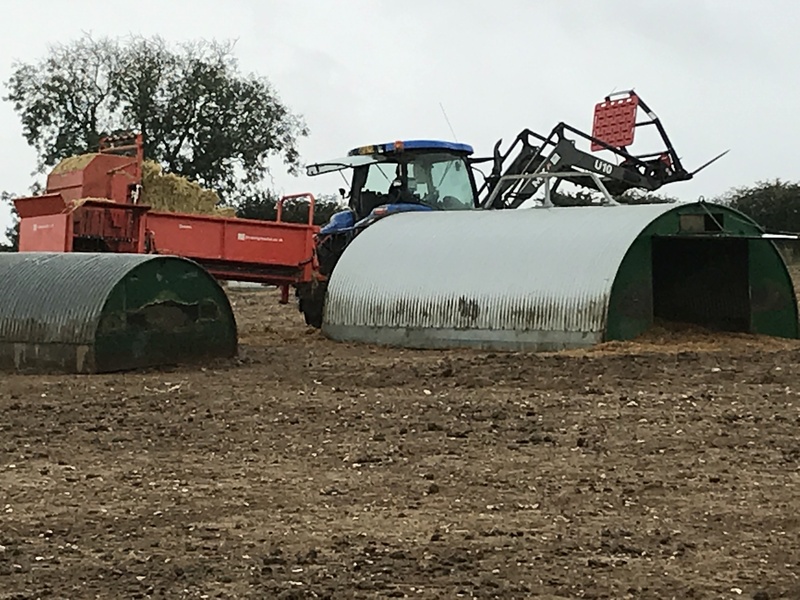 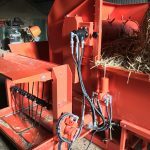 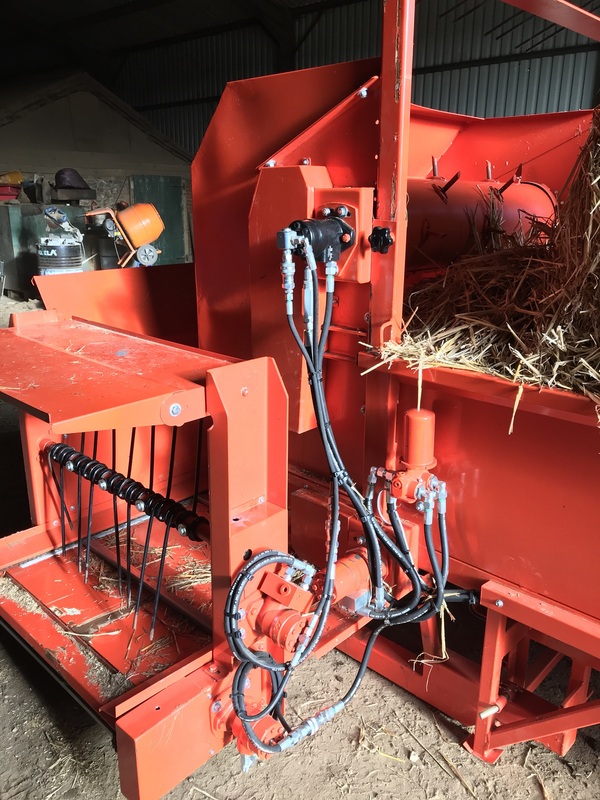 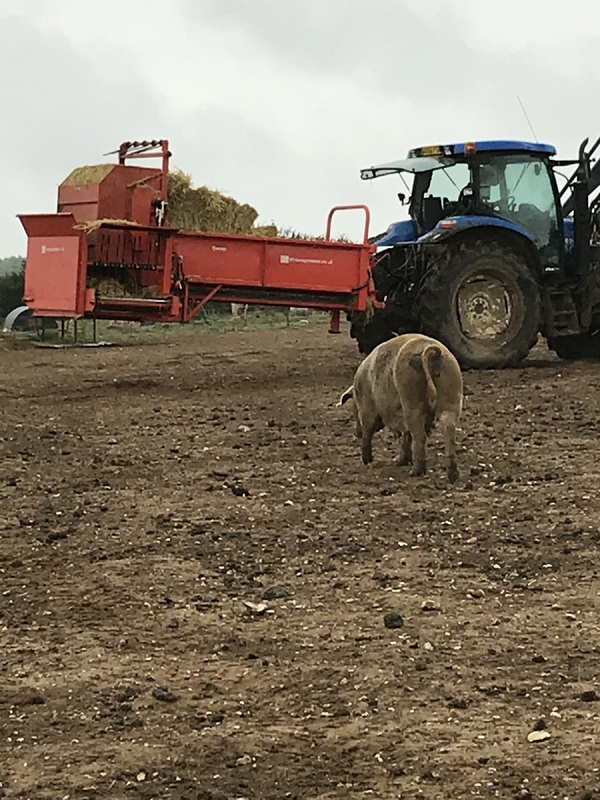 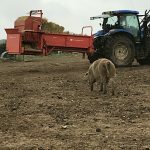 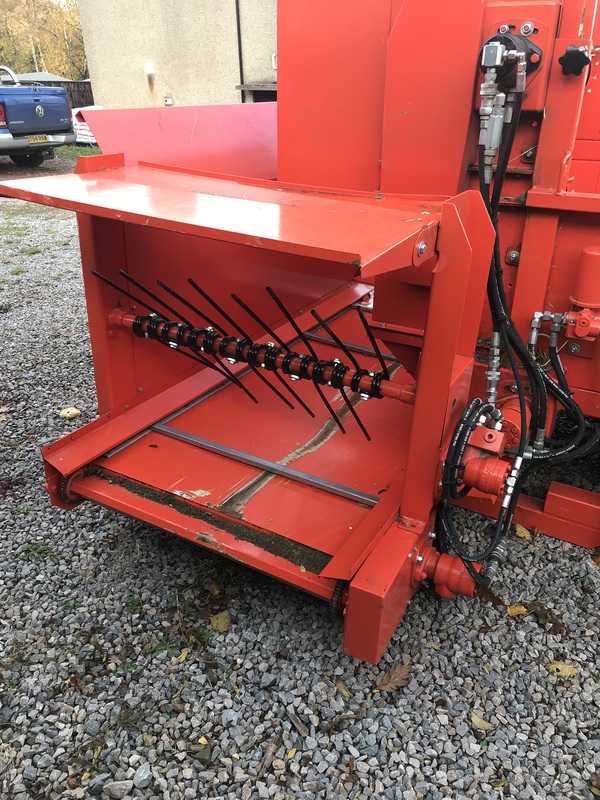 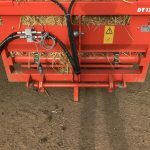 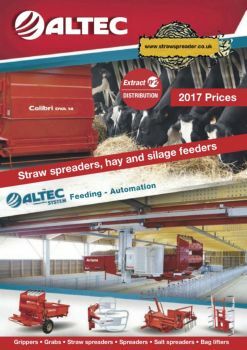 The straw spreader is loaded by the tractor loader, then attach the straw spreader via the quick hitch frame, plug in the two hydraulic hoses , remove the bands from the bale and you are now ready to spread. 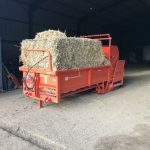 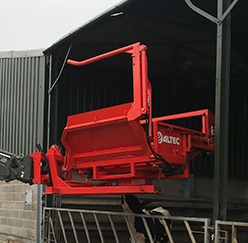 If a telehandler is required to be used, we also have a Telehandler version that has a Quick hitch arrangement with tines fitted, that with flick of a switch simply attaches and detaches from the machine, it is called the pick and go system, once the carriage is on the handler, you can pick up a bale and place it in the machine, you can then use the same system to pick the machine up again with out leaving the seat. 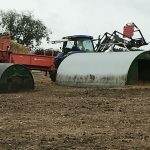 Huge potential for increased mortality in Farrowing, light fluffy level bed, less risk of been rolled on, warmer piglets. 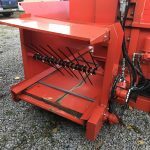 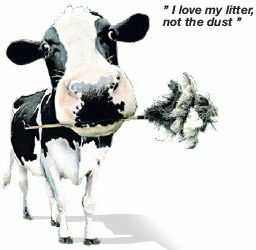 Keep your staff happy with this easy to use machine, no more back breaking beding up.